www.kailindafrenchbulldogs.com - History/ Breed Characterics! The History of the French Bulldog! The French Bulldog has enjoyed a long history as a companion dog. Created in England to be a miniature Bulldog, he accompanied English lacemakers to France, where he acquired his Frenchie moniker. Besides being a companion, he once served as an excellent ratter, but today his job focuses on being a fabulous family friend and show dog. He’s a rare dog breed, so expect to put in some time on a waiting list before you’re able to bring one home. Bat-eared but oddly beautiful, the French Bulldog has a unique appeal. 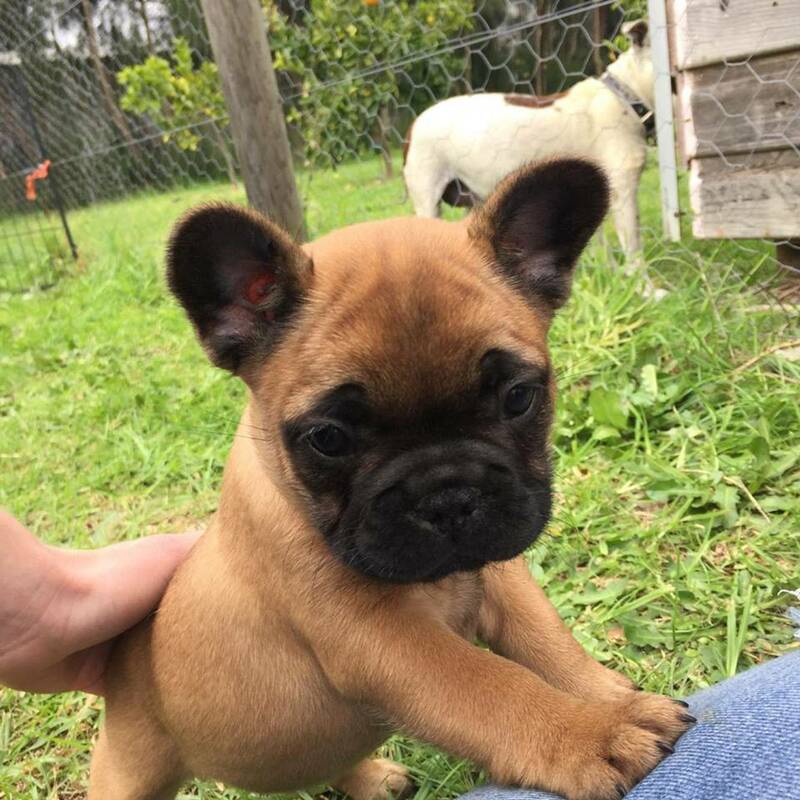 Aesthetically, other breeds undeniably are more glamorous and showy, but beauty is in the eye of the beholder and what many behold in the French Bulldog are the attributes that make this breed one of the best companion dogs in the world today. The French Bulldog is small but substantial in build with a powerful muscular body. He sports a short easy-care coat to accompany his easygoing personality. 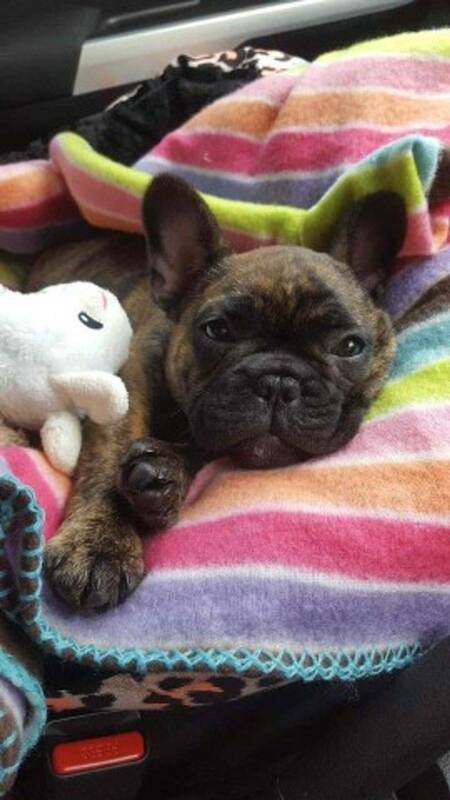 The Frenchie likes to play, but he also enjoys spending his days relaxing on the sofa. That love of play and relaxed attitude carry over into their training sessions. French Bulldogs are intelligent, and training them is easy as long as you make it seem like a game and keep it fun. They are free thinkers and are not an ideal breed for competing in obedience or agility although some have risen to the challenge. This freethinking approach can also lead to a stubborn nature, and if they decide to dig in their heels there is no budging them. Frenchies are loving companions who thrive on human contact. If you want an outdoor dog who can be left alone for long periods, the Frenchie is not the breed for you. This is a dog who enjoys lavishing love on his human companions as much as he loves the same treatment in return. They generally get along well with everyone, including children. They can, however, be territorial and possessive of their people, especially in the presence of other dogs. Socialization is a must for this breed, but with their easy companionship this is an enjoyable task. With a nature that is both humorous and mischievous, the French Bulldog needs to live with someone who is consistent, firm, and patient with all the antics and idiosyncrasies that make him both frustrating and delightful. French Bulldogs make excellent watchdogs and will alert their people to approaching strangers, but it's not their style to bark without cause. They can be protective of their home and family and some will try to defend both with their life. French Bulldogs do not need a lot of room and do very well in apartments or small dwellings. A couple of 15-minute walks per day should keep them from becoming overweight. Keep the Frenchie in cool, comfortable surroundings. He's susceptible to heat exhaustion and needs an air-conditioned environment. This is not a dog who can stay outside on a hot day. French Bulldogs are wonderful companion dogs with a gentle nature. If you work at home, the Frenchie is happy to lie at your feet all day or follow you from room to room. People who love them describe them as mischievous goof balls and can't imagine life without them. They are a constant presence, and they'll love you with all the strength in their small bodies, proving time and again that beauty is on the inside. Built like a small tank, the French bulldog is a mid-sized member of the non-sporting group. The dog shares the non-sporting group with the Boston terrier and the bulldog, two breeds for which the French bulldog is most often mistaken. The French bulldog is an even-tempered house dog that thrives on attention. In fact, he demands it! This dog is ideal for a single-person household, as he may compete for your attention with other members of the family. The French bulldog does not bark a lot, only when he finds real cause for excitement. A French bulldog is able to be happy in any housing. This breed is suitable for city life, because no large yard is required. He is not meant to be a jogging companion, but he is always willing to go for a brisk walk. The French bulldog does not require a lot of food, and his short coat is easy to keep clean. Facial wrinkles should be cleaned regularly. The Frenchie snorts and snores, but somehow it's part of his appeal. He prefers to spend his time in the house, receiving all your attention. In the early 1800s, Normandy lace workers from England set off to find work in France. They took with them smaller bulldogs to be kept on the farms as companions and to chase away the rats. In these northern French farming communities, the popularity of this hardy dog grew quickly. In fact, established bulldog breeders in England were happy to perpetuate this "new" breed by selling their undersized dogs to the French. The dog is widely known as a very fashionable household companion kept by upper class and royalty. One French bulldog, insured for an incredible sum (at that time) of $750, traveled aboard the Titanic. In the late 1800s and early 1900s the French bulldog was considered a dog of high society; the breed still attracts people who appreciate the finer things in life.